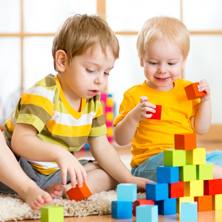 Christian Preschool: Why Choose a Biblical Preschool? There are many reasons why you might choose Children’s Ark Academy as the right place to take your children each day, and we’re sure we’ll detail all of those reasons in future blogs! 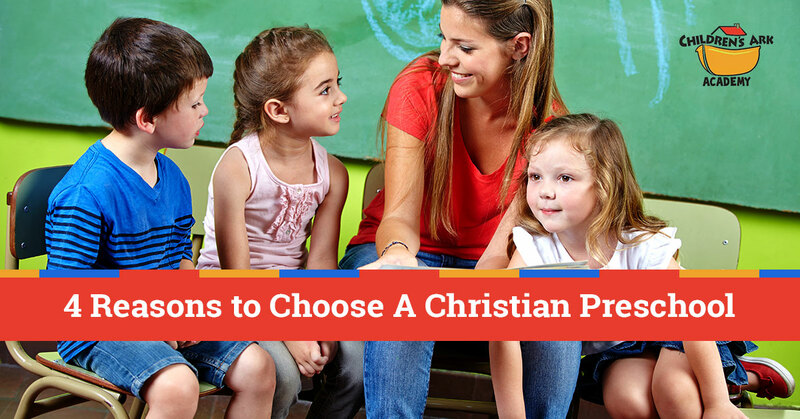 But before you even decide which preschool to choose, there’s another decision to make: should you take your child to a Christian preschool or a secular one? You won’t be surprised to learn that we believe that a Christian preschool is the better option when you’re looking for a place to teach your child. 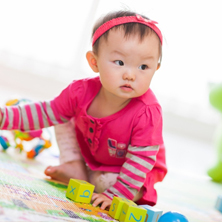 Let’s take a look at some of the benefits you’ll find with a Christian daycare program. No matter how old your children are when they begin attending a Christian preschool, they’ll be surrounded by Biblical truth the moment they step through our doors. That’s because our walls are covered with reminders of the good things God has in store for your kids, and our teachers will certainly be teaching God’s truth to your youngsters. Posters, banners, and other artwork are filled with reminders of God’s love. Here at Children’s Ark, we never forget the Bible verse from Proverbs 22:6, “Train up a child in the way he should go: and when he is old, he will not depart from it.” We know how important it is to set a Christian foundation in the heart of a child, and we view it as a primary goal. That’s not to say that children won’t stray. After all, everyone strays during some point in his or her life. But a solid knowledge of Jesus will always be there when they need it, a place children can always return to and build on later in life. Of course, setting a foundation means that Jesus will be part of every day. Now we’re not saying that every painting project and piece of felt art will be about Jesus, but we will make sure to work Biblical messages into the projects throughout the day. If a child draws an animal, we can incorporate Noah’s ark. If they paint a horse, we can remind them of how Jesus came in Jerusalem in a humble manner riding a donkey instead of a stallion. There’s always something we can do to weave a Biblical message into their day. While each parent knows their child is special, the world doesn’t always agree. Public schools are underfunded, overcrowded, and in need of repair. So when kids hear that the government can’t afford enough teachers for their classroom, they get the idea early on that the world doesn’t make kids a priority. But the Bible does! We can point to quite a few places where God details how important children are. Psalm 139:13: “For you created my inmost being; you knit me together in my mother’s womb.” Matthew 19:14: “”Let the little children come to me, and do not hinder them, for the kingdom of heaven belongs to such as these.” Children at Children’s Ark Academy will always know that they are special…in God’s eyes and in ours! 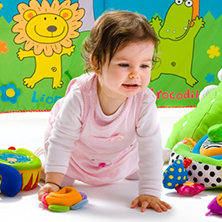 We truly hope you’ll choose a Christian preschool program when it comes to daycare for your child or children. Start a child off right with a Christian education!